The colors, the patterns in the grain, the aroma. 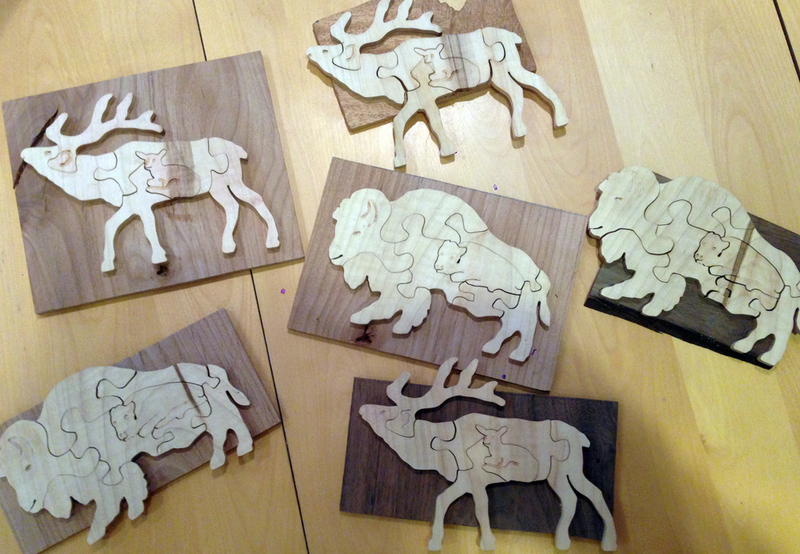 There is a joy in working with wood. Something quickly takes shape and before you know it, you have a wonderful piece of art, a puzzle or something as practical as a nick-nack basket. It’s simple: from tree to triumph by creating something practical or aesthetic from a hunk of wood. 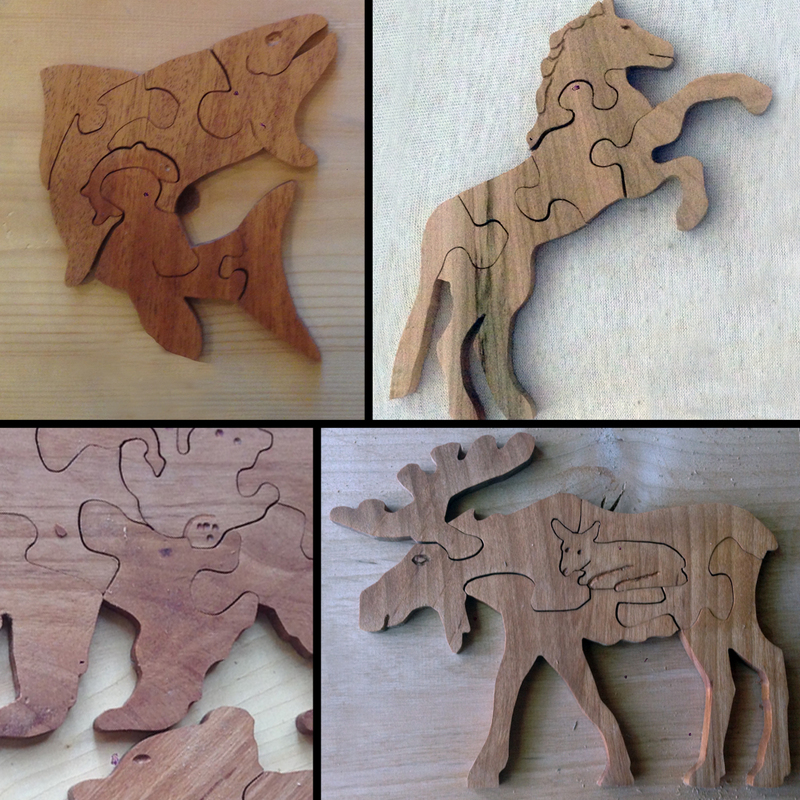 These puzzles are made out of mahogany (fish), maple (horse) and cherry (bear and moose).